St. Cloud sits just south of Orlando in Osceola county. Located on the southern shore of East Lake Tohopekaliga, St. Cloud offers a wide range of water activities that include swimming, boating and fishing. This beautiful lake is known for it’s circular shape and clear water. There is also a marina and a park that look over the lake. St. 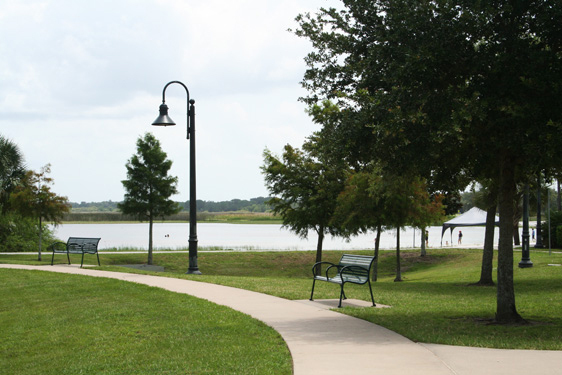 Cloud is a historical town with walking and biking trails, beautiful parks and golf courses. Stroll through the historic St. Cloud Main Street area to take a step back in time. Here you will see historical civil war sites, Quaker houses and more. St. Cloud has easy access to the area theme parks, east coast beaches and the airport. There is a wide variety of restaurants, shopping and entertainment areas here as well. If you would like to talk to a Realtor who specializes in St. Cloud, Florida real estate contact us online or call us at 888-588-6354 and let us help you with all of your real estate needs.